First opening to the public in 1997, Rainbows was one of the first gay bars to open in the city, and though a few followed, it proved to be the only one to stand the test of time - until a new venue opened last year. The former Italian Coffee Shop building in the Bull Yard was transformed into The Yard nightclub in 2017, following a £125,000 refurbishment. And according to Terry Limmer, the owner of Rainbows, The Yard could become the go to place for Coventry's LGBT community. He said: "The running costs of £1,000 a day are no longer viable. "Rainbows was the only LGBTQ venue for a long time in Coventry but after 20 years we have decided to close. "Personally I do not think Coventry is big enough for two venues as other venues have opened and closed over the years. The Yard is new and now it is their turn to serve Coventry's LGBTQ community. "Thank you to all the people who supported Rainbows for however long, we have made many amazing friends and met some real characters along the way (good and not so good) but you all made it what it is, was, so a final thank you to all the hardworking staff, DJs performers and managers who were part of Rainbows, as the saying goes we have lived, loved and laughed." 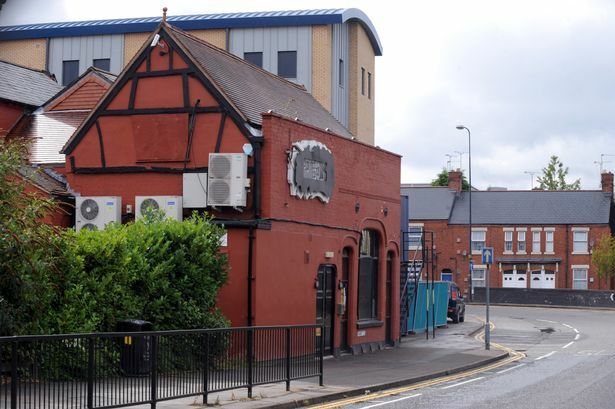 The charity Coventry Pride have taken to social media to pay tribute to Rainbows, and its owners, saying: "The Trustees of Coventry Pride would like to thank Terry, Gary and all his team over the last 20 years for providing our city with an LGBT venue which has served our community well. Thank you for hosting many Coventry Pride events over the last few years. "We're very sad to see Rainbows go and we wish everyone involved every success in the future. "We hope that Rainbows will be replaced by another venue at some point in the future to give Coventry a varied and vibrant future."